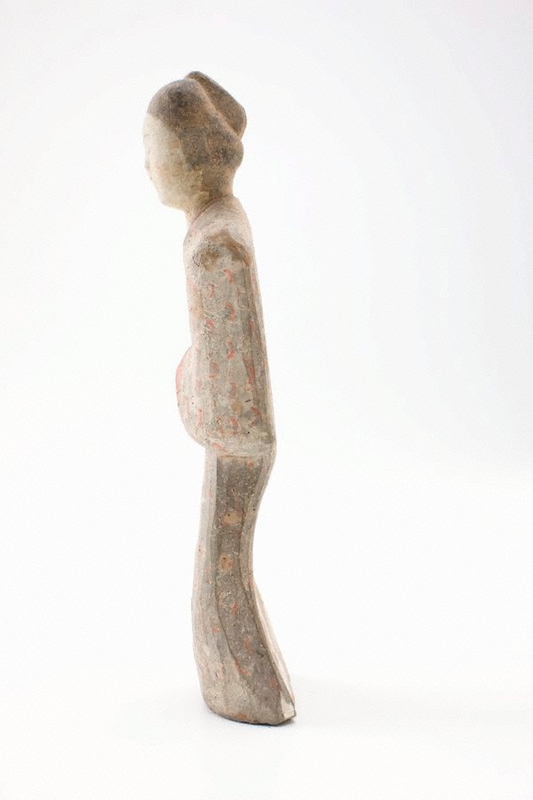 This female mourner (pair with EC6.1962) is an example of a more pedestrian tomb figure, lacking the stature, style and detail of other Han funerary figures, and most likely made for tombs of the less wealthy. 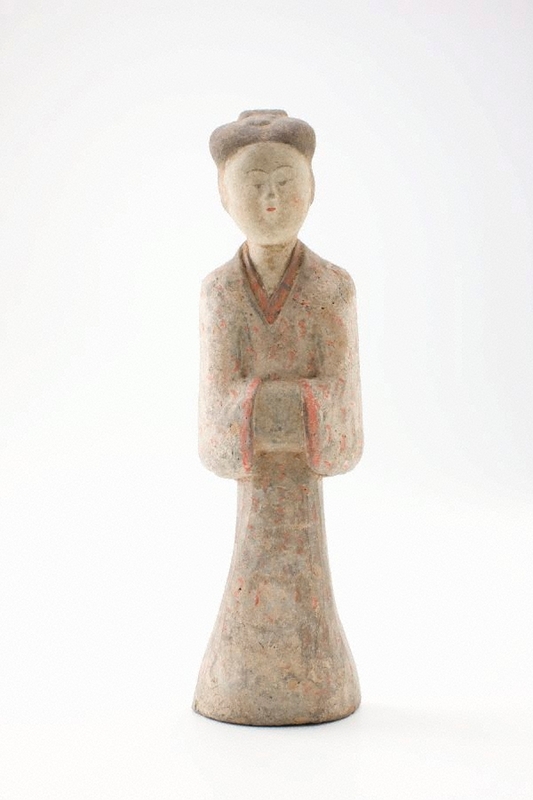 Jackie Menzies, 'Early Chinese Art', AGNSW, 1983. cat.no. X (a). Early Chinese Art , Sydney, 1983, not paginated. cat.no. X. See 'Further Information' for text.